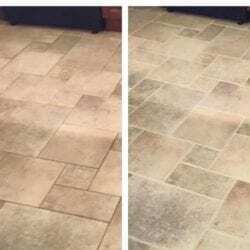 Grout Cleaning Service Boca Raton | Tile Cleaning Company Boca Raton | Grout Plus Inc. While tile is a popular option for home and business owners in Florida, the porous grout which helps to complete the image of counters, floors and other surfaces can become a catch-all for dirt, stains, and mold. Regular cleaning and resealing is important to keep your tile surfaces looking great. 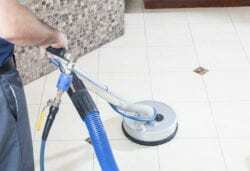 Are you looking for information about grout cleaning service in Boca Raton? If you need help to clean your grout in the Boca Raton area, Grout Plus Inc. has the personnel, equipment, and products to make your tile and grouting look as good as when it was first installed. The company has built an enviable reputation for excellent results and a highly satisfied customer base. Our tile services will make your tile floors look even better than new condition. The result is resistance to additional stains, as well as a surface that remains easy to clean. The porous characteristic of grout makes it a breeding ground for bacteria, mildew, and mold. Our proprietary cleaning product is no available in stores. It will permanently re-color and protect the grout lines which are an integral part of tile floors. For more than a decade, the cleaning product has been receiving positive reviews. If you have become frustrated by grime and dirt which discolors tile grouting lines in your bathroom, we can help. 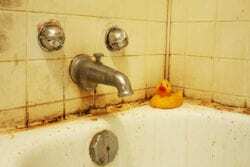 Even countless hours of scrubbing the shower or bathtub may not improve the sight. We offer high-quality bathroom grouting and tile clean and seal services. We can take care of the clean process, as well as steam clean tasks for your shower, easily eliminating many years of unavoidable build-up, unsightly caulking and damage which comes through daily usage of bathrooms. We are happy to help you bring marble floors and vanities back to their original shine and luster. Our professional marble cleaning and polishing services are effective due to the years of experience and high-quality products we incorporate into our services. Our products are the most durable and dependable in the marketplace so that your marble surfaces are protected against dirt build-up, chips and cracks. We will clean and re-glaze your Mexican tiles, leaving you with beautiful floors that are easier to maintain. Since the floor is very porous in nature, failure to properly maintain will cause it to stain and scuff over time. 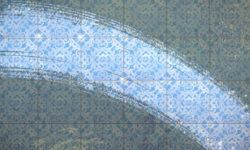 Our technicians are familiar with the best techniques to bring your Mexican tile back to its original color and condition. Mexican tile installations require regular maintenance every two years or sooner depending on the foot traffic in the house. Our technicians are available to provide the necessary products and experience to ensure that your floors maintain their lovely shine and luster. The products we use are not harmful to people or pets in the household. We recognize our responsibility to protect the health of the planet. We offer a process and products which are safe and effective. A ten-year guarantee of satisfaction is provided with our services. When you need the services of a tile cleaning company in Boca Raton, call (561) 753-7090 today for a free estimate!